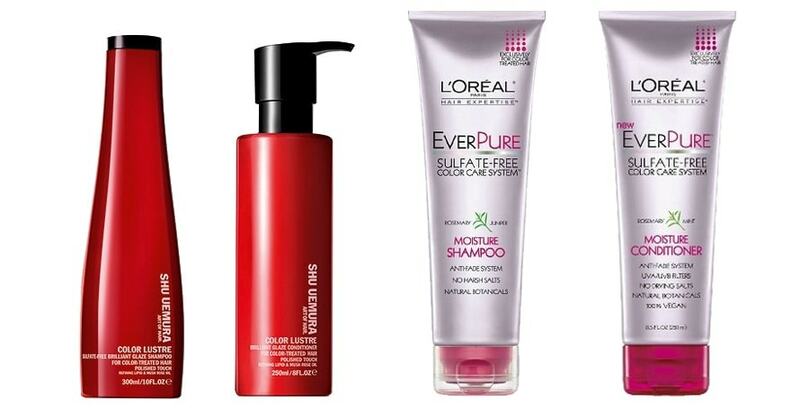 Best Shampoo For Fine Hair: Make Your Mane Fuller And Thicker! Hello, ladies! It’s Monica, and today I’m going to bring up quite a challenging topic. Yeah, fine and thinning hair. You want it to look fuller and thicker, but all the shampoos you’ve tried on just made things worse? Hair looks flat and limp right after washing? If that is the case, you probably haven’t found the best shampoo for fine hair yet. And there are quite a few of them! 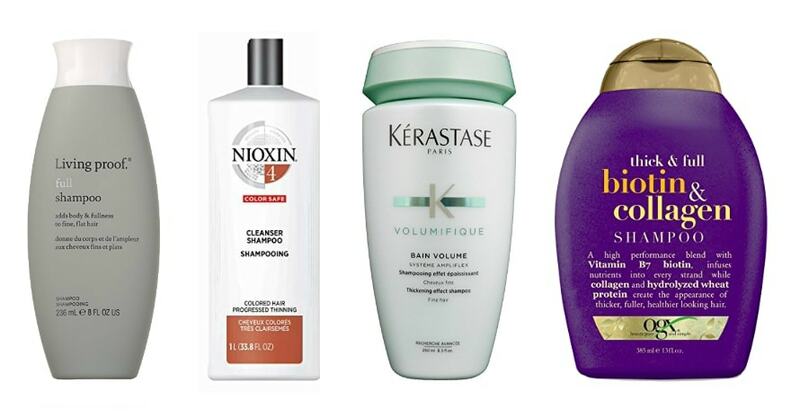 Looking for the best drugstore shampoo for fine hair that doesn’t cost a fortune? Do you need a dandruff shampoo for fine hair that combats flaking and itching? Want to try out the best dry shampoo for fine hair to reduce the number of washes? Then this post is just for you! Here, I will review my favorite shampoos for thin, limp hair. Also, I’m going to tell you how to make a shampoo for thin hair on your own, using liquid castile soap, essential oils or even oatmeal. Have I just piqued your curiosity? If so, let’s get down to business. 2 How to Make a Homemade Shampoo for Fine Hair? 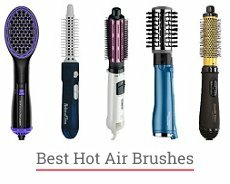 Here are 15 of my favorites that will make thin hair look fuller, thicker, and more voluminous. Enjoy! 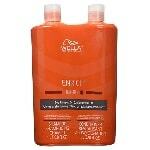 This sulfate-free shampoo for fine hair features a gentle formula that is safe even for color-treated locks. It’s a great product for those with baby thin hair – it looks thicker, fuller, and lifted after the wash. Also, this Living Proof shampoo will leave your locks shiny, soft, and frizz-free. You need a small amount of shampoo for each wash, so the bottle lasts quite a while. For me, this is the holy grail of protein shampoo and conditioner for fine hair. These products gently clean and condition your locks without weighing them down. The protein-enriched formula restores hair manageability and strength. After using these products, hair feels soft, smooth, and frizz-free. 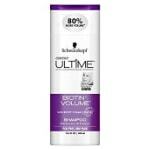 It has lots of body and volume – just what you want from the best shampoo and conditioner for fine hair. Just like many other shampoos in this rating, this one was developed specifically for fine, limp hair. Its formula gently cleanses and strengthens your tresses without weighing them down. As a result, you get incredibly soft hair that has body and volume. 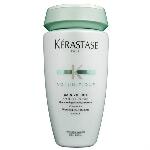 This Schwarzkopf shampoo is an excellent choice for those with baby fine hair – it adds lift and fullness to it. Using this product on a regular basis, you’ll see amazing results – just arm yourself with patience. It may take up to several months to renew your hair, making it clean, thicker, and healthy-looking. 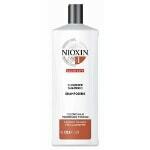 This Nioxin shampoo helps with hair loss and thinning hair, encourage new hair growth, and doesn’t leave a residue. Also, it doesn’t seem to fade the color. For better results, use it with the matching conditioner and scalp treatment by Nioxin. Designed specifically for kids, this shampoo and conditioner are made from all natural ingredients. Mango butter and carrot oil strengthen and nourish hair while cleansing it. And organic raw shea butter moisturizes and smoothes your kid’s locks making them soft, lightweight, and manageable. Both these products are safe for daily use. Personally, I like the scent of this natural shampoo for fine, thin hair. However, it may be too strong for little kids. 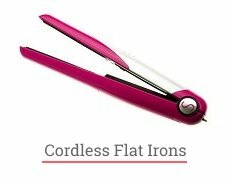 work well on thin, curly or thick hair. to me, the scent is too strong for babies. This BIOLAGE shampoo will leave you with shiny, voluminous, and bouncy tresses. Its gentle paraben-free formula is suitable for both natural and color-treated hair. BIOLAGE developed the whole hair care system for limp hair, including conditioner, leave-in volumizer, and whipped mousse. Use them to boost body and volume even more! 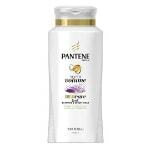 This Pantene shampoo is a part of the Pantene Sheer Volume system designed specifically to give your tresses volume, lift, and control. This 2-in-1 shampoo and conditioner gently cleanses your hair, moisturizes it, and helps to make curls more textured. It contains collagen, pro-vitamins, and antioxidants to make your hair full, shiny, and light. Pantene Pro-V volume root lifting spray gel for extra boost and control. 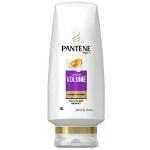 whole Pantene Sheer Volume system gives amazing results. formula was changed, so read the list of ingredients before purchasing. 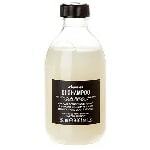 This Paul Mitchell shampoo refreshes your scalp and mane with tea tree, sage, peppermint, and lemon extracts. It helps to boost volume, strengthen each strand, and protect against split ends. After using this shampoo and conditioner set, hair feels soft, frizz-free, and full. The only drawback is the price. On the other hand, bottles are quite large. because of the poor packaging, you may receive leaking bottles. Made in the US, this Aveda shampoo contains organic acacia gum from Chad, Africa. In hair products, this ingredient is believed to be especially beneficial for fine, dry or damaged hair. 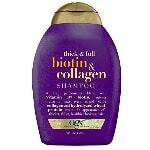 The shampoo helps to create extra volume and body for thin locks, making them fuller. Hair feels very clean, so it’s a good shampoo for fine oily hair. The ampli ciment complex of this shampoo is designed to treat fine vulnerable hair. 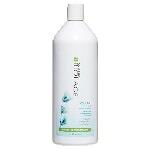 The product gently cleans hair and strengthens each strand without weighing down. Hair looks fuller, more voluminous, and more textured. This volumizing shampoo for fine hair features light, yet creamy enough formula that is perfect for thin tresses. And the bottle lasts a long time, so it’s totally worth every penny. After the very first shampooing, hair looks fuller and feels thicker. This product contains provitamin B, biotin, and collagen that encourage hair growth and strengthen each and every strand. It’s suitable for most hair types, including oily, damaged, and color-treated hair. To achieve better results, use this shampoo with a matching conditioner by OGX. When paired with a matching conditioner, this Wella shampoo repairs and protects dry damaged strands. This duo will leave you with soft and smooth locks that have body. I like everything about these products, but there is a tiny inconvenience. The packaging doesn’t include a pump, and you will probably need one. shampoo takes long to rinse out. The lightweight formula of this shampoo seems to be made especially for those with fine hair. Still, this product works well for all hair types. Personally, I love how soft and manageable my locks get after shampooing. As for the volumizing effect, this shampoo may be not so impressive, when compared to its peers. Still, it gets the job done. 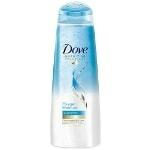 The moisturizing formula of this Dove shampoo is meant to hydrate your locks, making them soft and smooth. It’s claimed to leave your hair with up to 95% more volume vs. flat, limp tresses. In actual practice, its volumizing effect isn’t so impressive. On the bright side, this shampoo is rather cost-effective, especially when compared to its peers. To get even better results, use it with the Dove Nutritive Solutions Oxygen Moisture conditioner. Besides other beneficial oils, this Davines shampoo contains roucou oil that helps to strengthen hair and protect it against the effects of aging and environmental change. All in all, this shampoo performs nicely and pairs well with the conditioner from the same product line. It leaves hair voluminous, shiny, soft, and nourished. you need just a small amount of this shampoo for one wash, so it will probably last a long time. may strip hair of color. How to Make a Homemade Shampoo for Fine Hair? It’s thought that using an organic shampoo for fine, thin hair is the best option. There are no harsh chemicals in such a product, but it’s hard to find, and the price isn’t that attractive. If you want to be absolutely sure that your shampoo doesn’t contain sulfates, parabens, and so on – another option is to make a homemade shampoo. There are quite a lot of various recipes, and I don’t want to copy-paste them. I’d rather share with you one of my favorite homemade shampoos that works great on fine hair. Many homemade shampoos are based on liquid castile soap that works as a cleanser. You can add essential oils of choice like olive oil, lavender oil, jojoba oil, and more. Some people wash their hair using the mix of oatmeal and baking soda or egg yolk and honey. That’s a way of trial and error, and you may need some time to figure out what works for you. Keep in mind that homemade shampoos with essential oils aren’t tear-free, so it’s better to keep your eyes closed when shampooing (just be careful not to lose your footing in the slippery shower). Make sure that you’re not allergic to any ingredients of your homemade shampoo. Pregnant women and people suffering from epilepsy should avoid using bay-laurel, lemon, and rosemary essential oils because they can trigger contractions or seizures. Lemon oil can also cause photosensitivity. 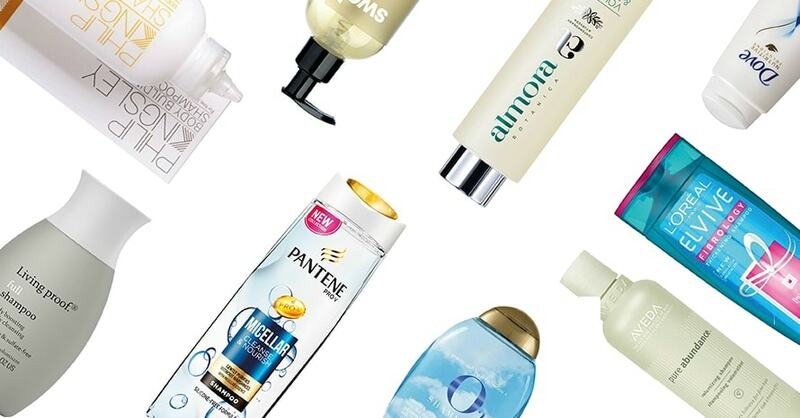 So, here are 15 shampoos for fine hair for every taste and budget. Some of them work for both men and women. Whether your hair is prone to oiliness, dry or damaged – you have some options to choose from. Many products on my list are safe for color-treated hair, and they can give you amazing results without fading the color. The primary goal of these shampoos is to make your tresses look thicker and fuller, giving them body and texture. And this shiny, voluminous, and full of life look is just priceless, right? Ladies, do you have any questions? What is a good shampoo for fine hair for you? What other products do you use to keep your tresses looking full and thick? Please, leave your comments below! Next Next post: Best Hair Gel for Men: How To Get The Strongest Hold and Ultimate Shine? The best OGX shampoo for fine hair you’ve suggested is awesome, I like it very much. I bought it for daily usage and have no complaints. And there is no frizziness at all, don’t know why you mentioned it as a side effect. The only thing that seems inconvenient to me is that it’s hard to wash that shampoo off sometimes. Kenra volumizing shampoo is awesome! I have a feeling that the volume increases right after using it so I’m not disappointed with the purchase, thank you, Monica, for such great advice! I was searching for the best shampoo for thicker hair for a long time, tried dozens of different means but nothing worked as perfect as that shampoo and conditioner, strongly recommend to everyone! Dixie, Kenra volumizing shampoo for fine hair best suits for oily hair. I also like it very much because my hair is very oily and with my old shampoo I had to wash my hair every day. Everyday shampooing is very harmful to hair, I think Monica will agree with me. After starting using Kendra I noticed that my hair became silky, but not so oily as it was before. The effect is awesome, I’m completely satisfied. And the scent of Kendra shampoo is really something I’m addicted to.